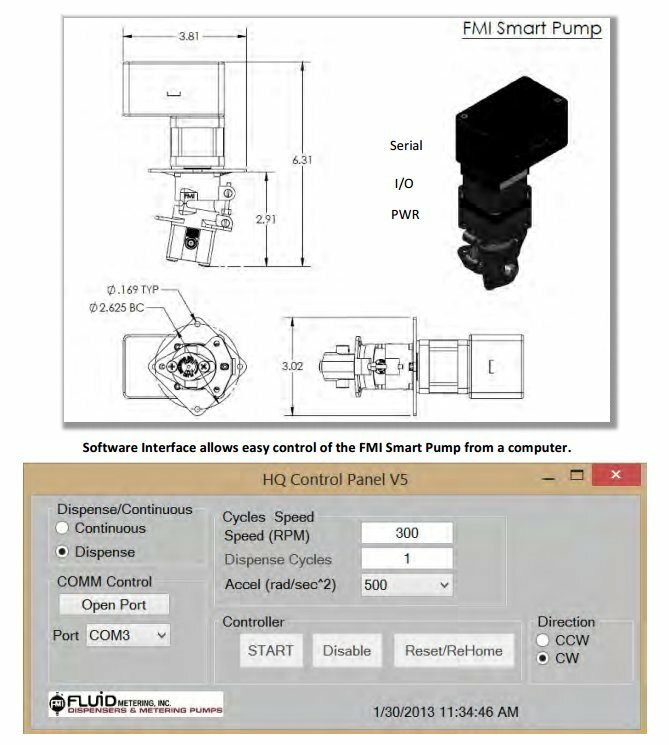 The intelligent pump includes an integral programmable driver providing servo control of the stepper pump. With 5 programmable inputs and 2 programmable outputs running on multiple programming platforms including Visual Basic, C/C++, Delphi and Lab VIEW. Analogue 0-5V, RS232 serial and CANopen protocol supported - EtherCAT with optional module. The intelligent metering pump uses FMI's standard STH body, has a speed range 10 to 1200 RPM @ 40 PSI with flow rates of 25 μL/min minimum (H00) to 240 mL/min maximum (H200).